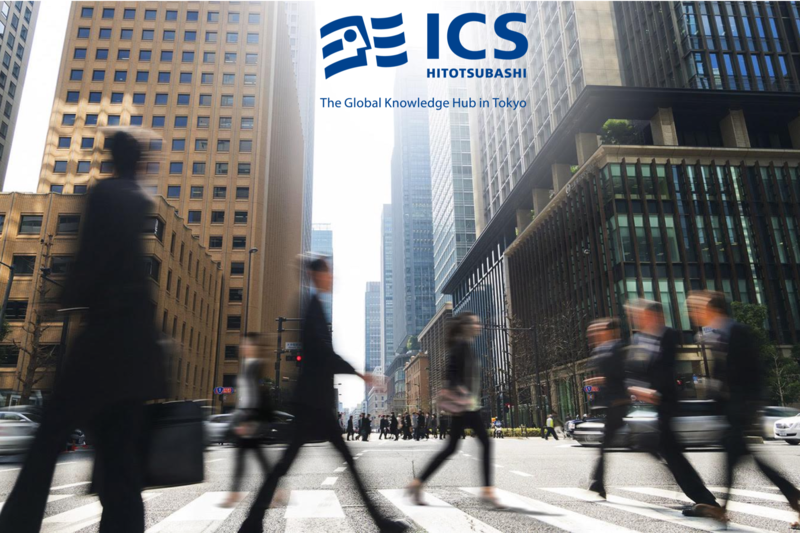 Established in 2000, by a group of innovators in business education, Hitotsubashi ICS was Japan’s first global, all-English MBA program. Today, it is the global face of the publicHitotsubashi UniversityBusiness School (HUB) and offers both degree and non-degree programs. 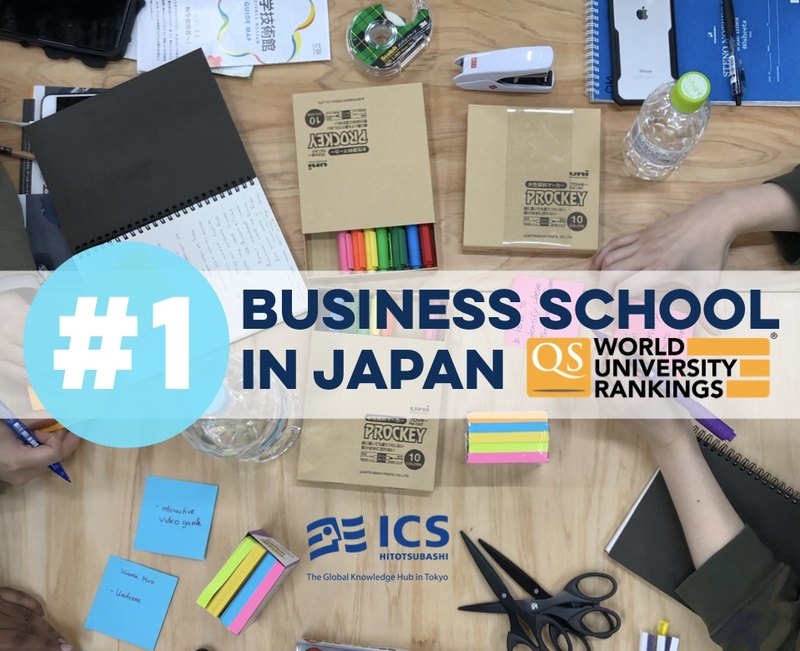 In the entrepreneurial spirit of its origins, the Hitotsubashi ICS classroom pushes the frontiers of business education. Through its custom signature courses, continuous renewal of core curricula, and personalized career development services, the school commits to each individual student’s learning experience. The One-Year MBA Program is hihgly popular within students that are usually seeking a vertical career-change post-MBA or that are company sponsored. One-year program students enroll at Hitotsubashi ICS in mid- to late-September and graduate in August the following year. This option is best suited for company-sponsored and YLP (Young Leaders' Program) scholarship applicants because it is assumed that they will return to their original company or organization after graduation. One-year students can participate in all on-campus academic courses and programs as well as intensive academic programs offered both on and off-campus, they are not eligible to attend term-long exchange programs or to participate in company internship programs. The Two-Year MBA Program students are those who are seeking a role or industry career-change post-MBA or wish to be exposed to broader or more in-depth MBA-level learning opportunities and experiences. Conduct indivdual research projects, which may include writing a business case or a consulting report, or developing a business plan for a new venture. Students in both 1-year and 2-year programs follow the same academic calendar in their first year. The academic year starts in September and it is divided into four terms. There are no required courses during these breaks, but there may be elective courses and other elective academic activities. You may apply for only either the 1-year or 2-year program. Once accepted to one program, you cannot switch to the other program. All application documents, except for TOEFL/IELTS and GMAT official scores, must be submitted via the ICS Online Application System. Applicants are encouraged to submit their application as early as possible in each round. Scholarship decisions for international candidates are made only after a candidate has been admitted. Since scholarships are limited in number, first-round candidates tend to have an advantage in this regard. The Career Services Office provides students who are not sponsored by their employers with one-on-one counseling to help them design their career development and build the strategy to take the next step in their professional paths. 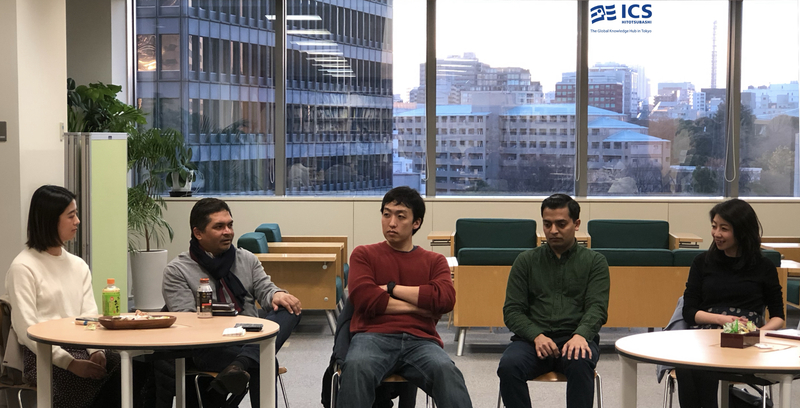 For students who desire to work in Japan should take into consideration that most positions in Japan require Japanese language ability, so having this language skill will open up many more career opportunities within the country and significantly increase your chances for employment. 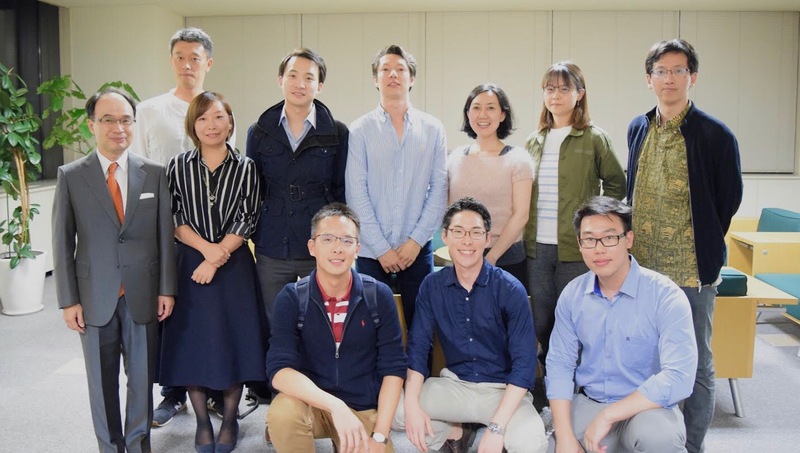 Students who have low or no Japanese language abilities may want to consider taking Japanese Language classes, at another institution or, at Hitotsubashi ICS, as we offer some Japanese language courses. 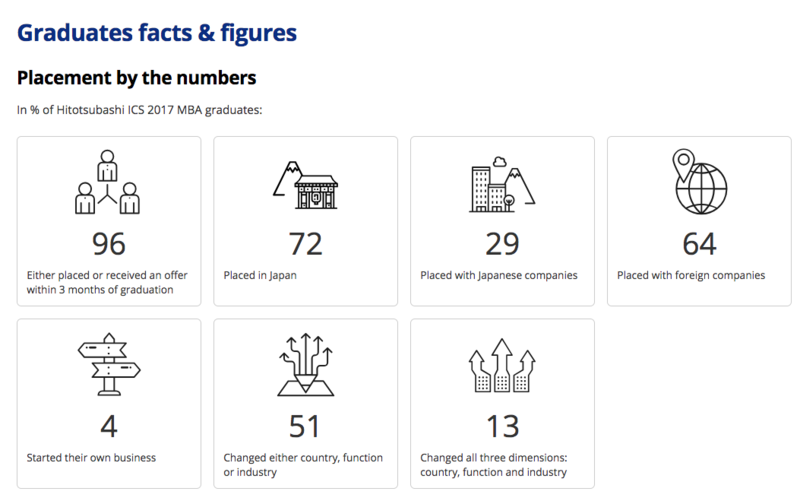 Figues above are in % of Hitotsubashi ICS 2017 MBA Graduates who sought positions in Japan.